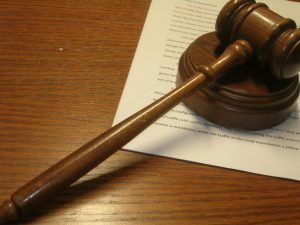 Planned Parenthood’s two abortion facilities in Arkansas as well as a separate surgical abortion facility in Little Rock filed a notice in court that they will appeal the State Board of Health’s recent determination that the clinics violated a pro-life law Family Council supported in 2015. In 2015 the Arkansas Legislature passed the Woman’s Right to Know Act that ensures women inquiring about abortion are given all the facts first — including information about abortion’s risks, consequences, and alternatives. The law also says women must be given at least 48 hours to weigh their options and that they cannot be charged for the abortion or for services related to the abortion before that 48-hour reflection period is over. In some states, abortion facilities charge women up front for an abortion, before the end of any waiting periods. This can make the woman feel financially obligated to go through with the abortion even if she has second thoughts about abortion. The Woman’s Right to Know Act helps prevent that from happening in Arkansas. Since 2015, annual reports from the Arkansas Department of Health indicate more than 700 women have chosen not to have abortions after receiving the information outlined in the Woman’s Right to Know Act. Last spring inspectors with the Arkansas Department of Health cited Planned Parenthood’s facilities and Little Rock Family Planning Services for charging women for some procedures related to abortion before the end of the 48-hour reflection period. The three clinics took their case to the State Board of Health, which determined last October that the facilities had in fact violated state law. This week the three clinics announced they will appeal that decision in court. According to the Arkansas Democrat-Gazette, Planned Parenthood, Little Rock Family Planning Services, and the ACLU will argue that the law is unconstitutional and overly burdensome and that the Health Department exceeded its authority. I am confident Arkansas can win this legal challenge over the state’s pro-life law. Many states require abortionists to wait anywhere from 24-72 hours before performing an abortion, and Arkansas is not the only state that prohibits abortion facilities from charging women ahead of time for abortion or abortion-related procedures. One of the jobs of the Arkansas Department of Health is to inspect abortion facilities to ensure they are complying with state laws. If they don’t have the authority to cite Planned Parenthood for violating this law, who does? Photo Credit: By Brian Turner (Flickr: My Trusty Gavel) [CC BY 2.0 (http://creativecommons.org/licenses/by/2.0)], via Wikimedia Commons. 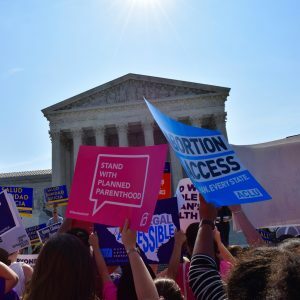 Earlier this month we wrote that Planned Parenthood was dropping its legal challenge in the federal Eighth Circuit Court of Appeals over the Abortion-Inducing Drugs Safety Act. This 2015 law requires abortionists who perform chemical abortions to follow FDA protocols, and it requires abortion facilities that offer abortion drugs like RU-486 to contract with a doctor who has hospital admitting privileges to handle any complications arising from the abortion. Requiring abortionists to follow FDA protocols may not sound like much, but it prevents abortion doctors from giving women abortion drugs later in pregnancy than the FDA recommends, which saves the lives of those unborn children. After three years of wrangling in court, Planned Parenthood announced a few weeks ago that it would comply with the law even though it still thinks the law is unconstitutional. Planned Parenthood asked Monday that a federal judge put a six-month hold on its lawsuit challenging a state law affecting medication abortions or let the case be dismissed under a provision allowing it to be refiled if necessary. . . . In a filing Monday, Planned Parenthood attorneys said they want to submit a status report at the end of a six-month period, so Baker “can determine whether to extend the stay or dismiss the case without prejudice,” which would allow the case to be refiled. In other words, it sounds like Planned Parenthood is going to comply with the law for now, but they want to keep their options open. This is still a pro-life victory. The Abortion-Inducing Drugs Safety Act is going to be enforced as intended, and even if Planned Parenthood were to re-file its lawsuit against the state in the future, I believe Arkansas would win the case. Thanks to the generosity of some good friends, every dollar we receive today will be matched, up to $12,000. This is an opportunity to double your impact when you give to Family Council today. Your tax-deductible gift of $25 will be turned into $50. Your $100 gift will become a $200 gift. Our goal is to raise a grand total of $24,000 today. You can help us reach that goal by making a donation via our website. Simply go here to donate right now. End Abortion. The informed-consent law we supported in 2015 has saved more than 700 children from abortion in the past two years. Overall, abortion in Arkansas has fallen to some of the lowest levels in four decades. We want to continue passing laws and promoting policies that will reduce and ultimately eliminate abortion in Arkansas. Support Pregnancy Resource Centers. We’re launching a new foundation that will help provide funding and support to Arkansas’ pregnancy resource centers. These centers give women with unplanned pregnancies real options besides abortion. We plan to begin awarding grant money to pregnancy resource centers in 2019. Promote Home Schooling. Our home school office, the Education Alliance, is here to assist home schoolers every day. In 2019 we plan to support legislation that helps home schoolers and oppose legislation that hurts home schoolers at the Arkansas Capitol. Protect Religious Liberty. Arkansans ought to be able to live and work according to their deeply-held religious convictions without the threat of a lawsuit or other penalty. We plan to continue working to protect religious freedom in 2019. Continue to Oppose Gambling. Even though Issue 4 passed on November 6, there are still steps we can take to reduce the harm that gambling does to families and communities. Sponsor Pastor’s Day at the Capitol. One of the best things we do all year is Pastor’s Day at the Capitol. This is a time for ministers and church leaders to come together for prayer, worship, and fellowship with elected officials in the Rotunda of the Arkansas Capitol Building. We are already working on Pastor’s Day at the Capitol for February of 2019. Your generous support helps make this wonderful event possible. Honor Arkansas Longest-Married Couple. Family Council is searching for the husband and wife in Arkansas who have been married the longest. Last February we honored ten couples who had been married more than 75 years at a special reception at the Governor’s Mansion. We plan to honor Arkansas’ ten longest-married couples again this coming February. This event does more than simply recognize wonderful men and women and their families. It highlights the value of marriage and it shows young people that love and commitment really can last a lifetime. There just isn’t room for me to tell you everything about our plans for the coming legislative session, our ongoing fight against marijuana, our plans to blunt the radical LGBT agenda in Arkansas, and the numerous times we get to proclaim God’s truth in media interviews and speaking in churches across the state. Your generous support makes all of this possible. That’s why I hope you will pray for us, that we would be successful and that we would remain faithful to the calling God has given to us. I also hope you will give generously, if you are able, before midnight tonight as part of #GivingTuesday. Simply go here to donate.